It’s the end of August, we’ve survived a heatwave over summer here in the UK and everyone is refreshed for the return to work and school… and #SeptTextileLove! 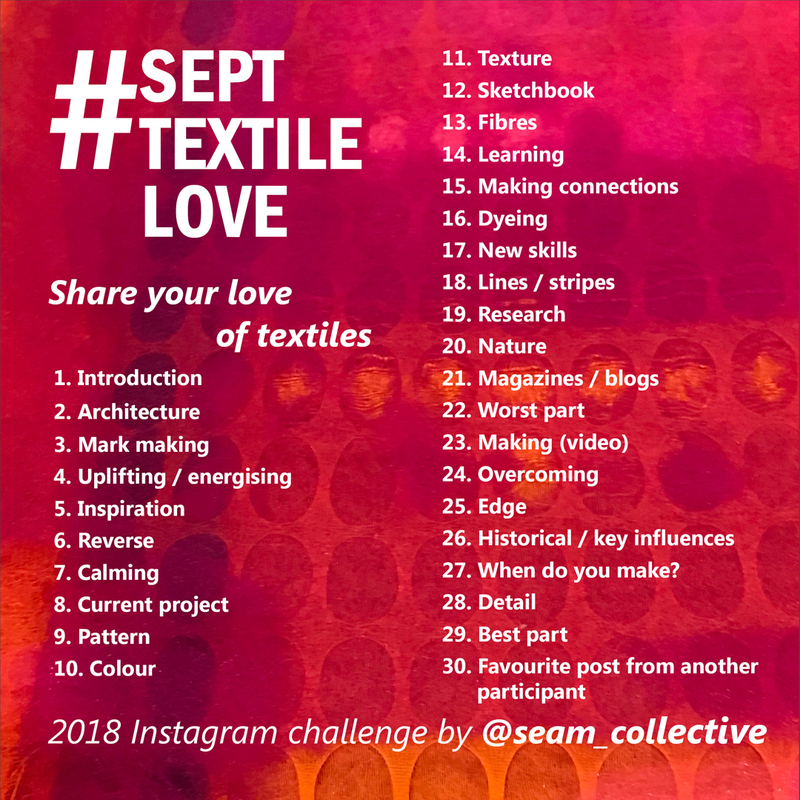 This year we’ve had a brilliant response to our initial posts about #SeptTextileLove, with many of you saying how much you enjoyed it last year, how you’re looking forward to participating again, sharing it with your followers and signing up to the newsletter to receive the prompts. Today we’re pleased to share the full list of prompts with you here, and over on the seam Instagram account. The daily prompts encourage you to share a different aspect of your love of textiles. 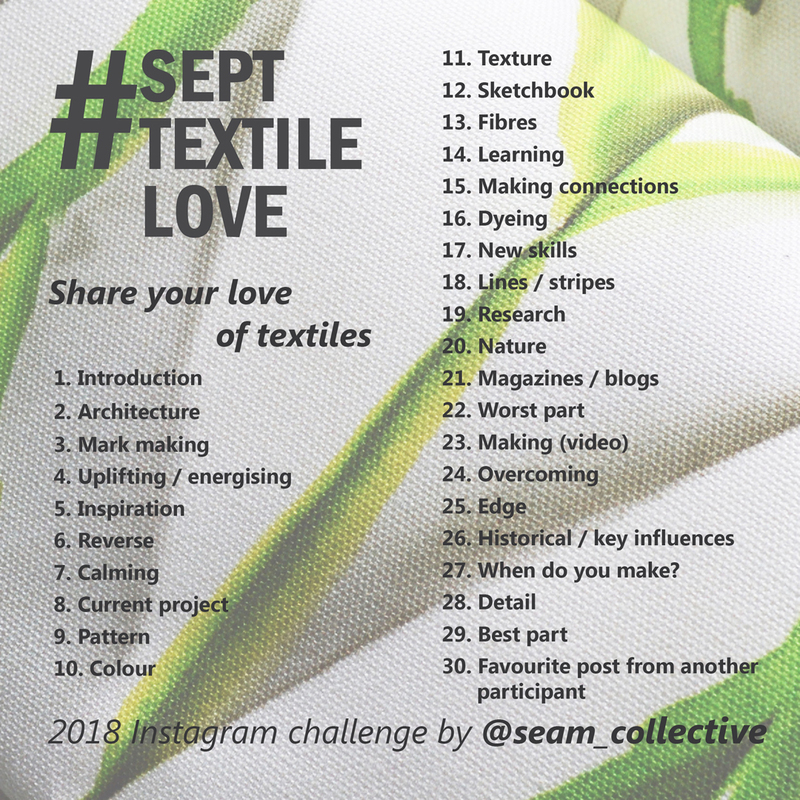 You can respond to as many of the prompts as you wish – the only requirement is that you include the hashtag #SeptTextileLove so we can find, like, comment on and share your posts! If you’d like to prepare some of your responses in advance or see what’s coming up later in the month, our PDF planner download makes it easy to do this. The prompts are all about textiles but how you interpret them and share your individual connection with textiles is up to you. Anyone who’s interested in textiles can take part, whether you’re a textiles enthusiast, student, maker, professional or artist – we want to see your textile love on social media during September. Download the prompts or PDF planner and join us! We look forward to sharing your love of textiles.